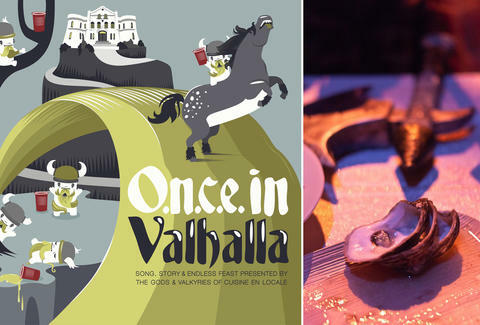 Celebrate those handsome Nordic people who wore helmets with horns on them and still believe in trolls at this Viking-themed One Night Culinary Event from Cuisine en Locale at the Somerville Armory. There will be ten courses including a Slumbrew beer tasting and oyster bar and NINE OTHER ONES. Plus, they've dressed the place up to look like Valhalla, "the hall in Viking heaven (Asgard) where honored dead guests went to dine with the gods". AND they've got mead. How could you ever not go to this?